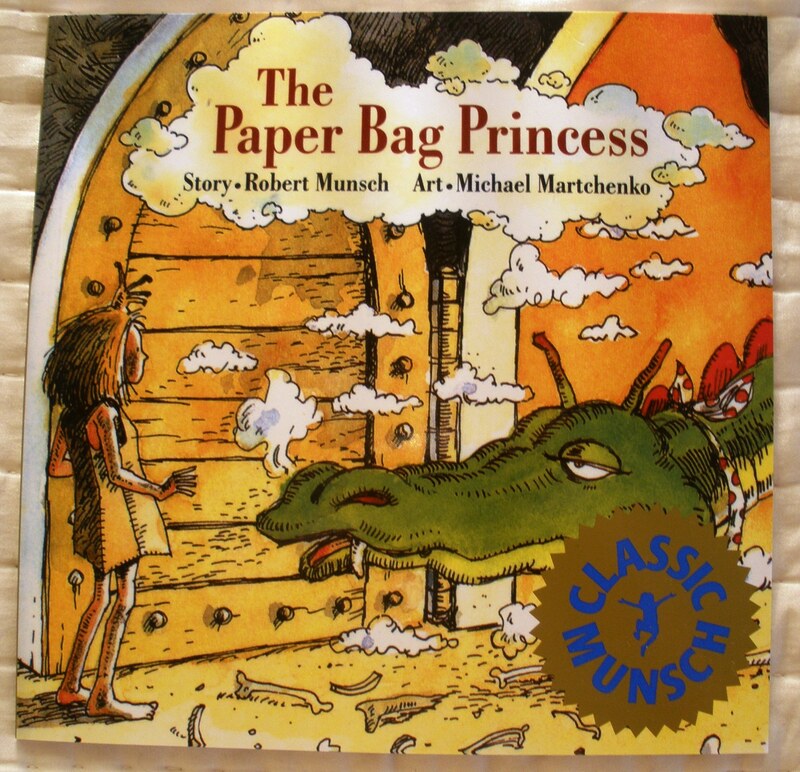 To wrap up our princess theme, I have a special treat for you: my all time favorite princess picture book, Robert Munsch’s The Paper Bag Princess. It would hard not to love this reversal of your typical damsel in distress tale. When a dragon lays waste to Princess Elizabeth’s castle and clothes, and carries off her intended, Prince Ronald, Elizabeth does not mope or cry. She grabs a paper bag and springs into action. Using her brains (no acts of violence necessary for our heroine), she outwits the dragon and saves Ronald. When he expresses displeasure with her appearance, and a rather sad lack of gratitude, Elizabeth does not think twice. She kicks Ronald to the curb and waltzes off into the sunset by herself. I have a beautiful brand new copy of this for your little princess. To enter the giveaway, simply leave a comment below telling me your favorite princess book. It can be one I reviewed, or one I missed. If you don’t have a favorite, just tell me one you might want to try. The contest will be open through midnight EST on Sunday, August 29. Make sure you leave some way to reach you in the comments, and check back on Monday, August 30th for the winner! At this time, I can only send to the U.S. and Canada. This entry was posted in Primary Grades and tagged picture book, princess. Bookmark the permalink. Well,I am just an old school Cinderella fan I guess.Boring but true! I would love to win this for my niece! My favorite book about a princess is A Little Princess by Frances Hodgson Burnett. Of course, it’s not actually about a real princess, but I do love Sara Crewe. The Seventh Princess. I think I still have my copy which is good, as it is now out of print. Ooh, I’m not too late! You covered me–I think it’s Princess Academy. As I’ve said, I’m not generally big on princesses, but that one gets right at the heart of everything I don’t usually like about the genre: being royalty is tough work, socially, academically, politically, and physically. You’d probably be better off making a fortune in linder and living in the mountains. I got it! Days ago–I’m sorry I didn’t come by earlier to say thank you. But thank you! I love this book, and I’m hoping to work Adam into a dragon-loving frenzy by Halloween. We’ll see how that goes. Thanks again! Have you read Princess Bubble? That is my favorite! Lila, I’ll add that to my to-read list! It looks like another fairy tale where the girls come out on top! I’m sorry that this giveaway has closed (and actually, my blog has moved). Come visit my blog at Between These Pages for more reviews and giveaways.